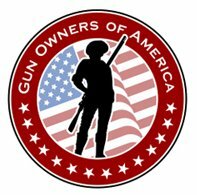 Are gun owners covered if someone is accidentally injured with their weapon? What if you shoot someone in self defense? The answers to these questions are complex. Read more to find out how you’re insured. This entry was posted in 2nd Amendment and tagged 2A, 2nd Amendment, bill of rights, CCW, Crime, Firearm, Gun, Gun law, gun rights, guns, Handgun, home defense, Home invasion, Law, pro gun. Bookmark the permalink.